Book & Stage | Do You Hear The Music? Last night Allen Stone returned to Las Vegas and Book & Stage at The Cosmopolitan to perform yet another incredible set. As one of the most gifted up and coming entertainers, Stone was on-point from beginning to end and had the solid crowd grooving during his entire 90 minute set. If you are in Vegas tonight and tomorrow, don’t miss the chance to see him. 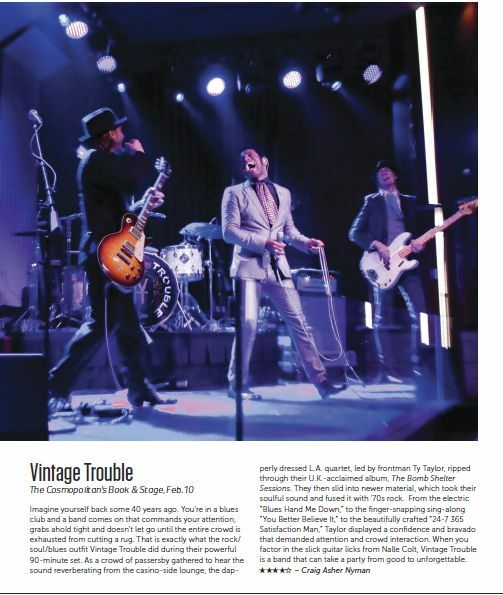 Last week I had the pleasure of attending a fun and energetic performance by Vintage Trouble over at Book & Stage inside The Cosmopolitan. See below for my review which appears in the February 16 issue of Vegas SEVEN. On December 23 I had the pleasure of catching Allen Stone in concert out in Las Vegas and here is my review of the show as it appears in the January 5, 2012 issue of Vegas SEVEN. Hope this makes you want to see him live, I promise you won’t be disappointed. To say I’m excited about tonight is a massive understatement. If you find yourself in Las Vegas I highly recommend you make your way to The Cosmopolitan at 10 p.m. tonight where Allen Stone will be performing at Book & Stage. Click HERE to read what I wrote back in October and if you haven’t already, make sure you pick up his self titled album. If you feel like getting down and listening to an incredibly talented musician, tonight is the night to waltz yourself over to the show. Heck, it’s free so you really have no excuse. 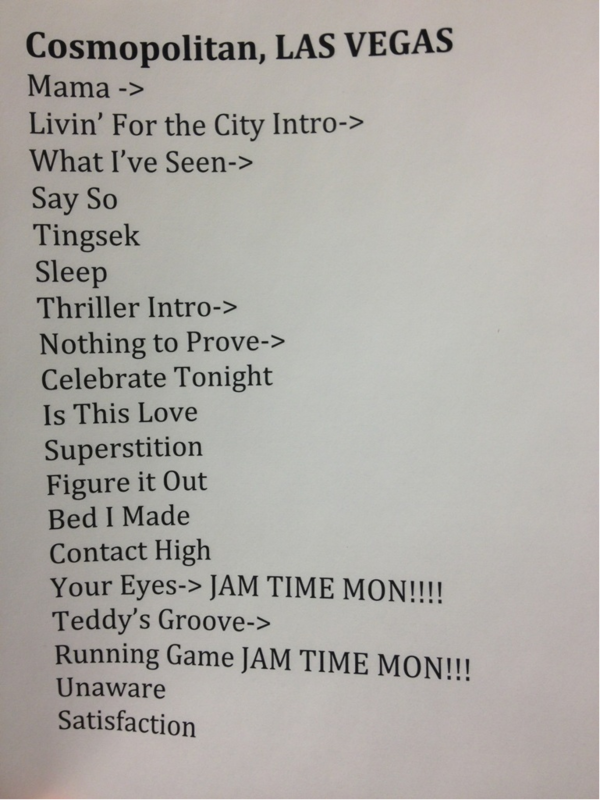 Ok Vegas, here is your reminder so you can’t say “I didn’t know” and miss an incredible show. Tonight make your way to Book & Stage at The Cosmopolitan where GROUPLOVE will be performing at 10 p.m. and midnight. Fresh off the release of their debut album, Never Trust A Happy Song, this quintuplet is a band you’re going to want to say you saw way back when. These guys were my highlight of Lollapalooza, blowing me away more than their EP I had been listening to on repeat all summer. Not only do they have a great sound but their story is damn cool too. Check out what I wrote back in June for the skinny on the band. So let’s recap, GROUPLOVE performing for FREE tonight (and tomorrow) at Book & Stage inside The Cosmopolitan at 10 p.m. and midnight. Got it? Good. See you there! Friday, August 5 – Sony Stage, 3:00 p.m. I don’t care what you are doing at 3 p.m. on Friday, cancel it and make your way to the Sony Stage to see Foster The People. Back in March when they literally had just a three-song EP out, I got to see these guys four nights in a row at Book & Stage at the Cosmopolitan in Las Vegas and each show was better than the last. In the months since, their debut LP Torches was released and debuted at #8 on the Billboard 200 Chart, “Pumped Up Kicks” is still riding high 18 or so months after it initially surfaced, they tore apart SXSW, Coachella, Glastonbury and more top festivals, the video for their second single “Helena Beat” dropped, “Houdini” was featured in the premiere episode of Entourage and did I mention that these guys were selling out shows long before any of this occurred? Trust me when I tell you, if you have tickets to Lollapalooza, you better not miss this show. Back in October 2010 I posted about the pop-rock UK duo of producer TommyD and singer-songwriter Jamie Scott who together make up Graffiti6 and tonight they descend upon Las Vegas to perform at Book & Stage at Cosmopolitan. To say I’m stoked in an understatement and if you are in Vegas I highly recommend you make your way over at 10 p.m. tonight.